8 valuable sessions addressing discipleship, social media, working with difficult teenagers and much more! 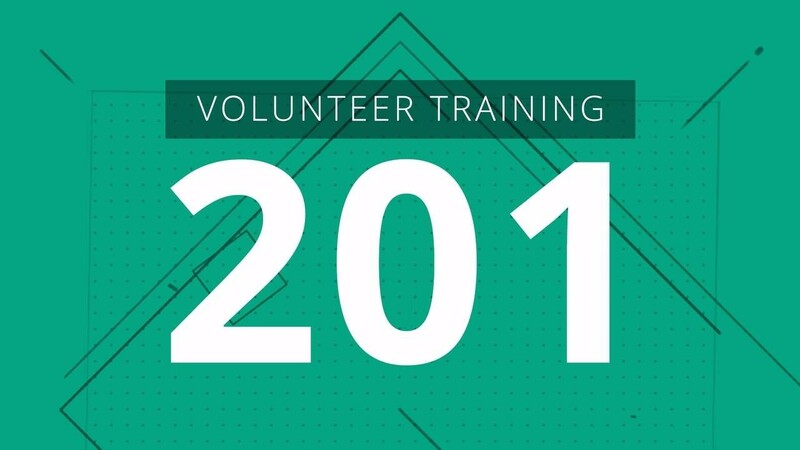 This second of 101-401 trainings will provide you with more quality youth ministry training. After the “honeymoon season” of working with teenagers wears off you’ll most likely begin to move into some tougher stuff and we’re here to help you navigate those issues. In this course we’ll answer the question that hits all of us from time to time—am I really making a difference? In addition, we’ll train you in some basic discipleship essentials and help you gather an increased focus on relational ministry. Beyond that, other sessions include helping you discipline your students—an unpleasant but necessary skill to possess. We’ll also show you how to make the most out of opportunities in the 10-Minute Rule, and share some practical tips on how to be a responsible leader with your own social media. Wow! There’s a lot in this course and the teaching comes from some of the most experienced and trusted voices in youth ministry. 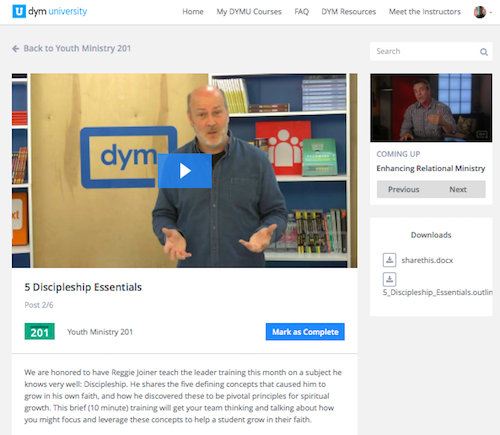 Each Session with the Youth Ministry 201 Course includes: (1) 10-minute training video, (2) a downloadable outline, and (3) a fun, interactive, quiz and reflection platform (for those who want to turn this into a Youth Ministry Certificate). It's learning made easy... at your speed.